Given that I am still in my early twenties, I cannot confidently say I am old. As the tide of pop culture rolls toward the “Harry Potter” extended universe and Ariana Grande, however, I find myself nostalgically looking to relive the days of the past. In those days, the world had yet to do away with the analog television set. My father brought home “The Fellowship of the Ring” in VHS, and on one rainy night, my family members gathered to view that which pop culture had then revered. We watched Gandalf make his way into the Shire, Bilbo’s passing of the One Ring onto Frodo, the creation of the Fellowship and the Fellowship’s ultimate and inevitable end. That’s when my long-standing love for Tolkien’s world of Middle-earth began. The “Lord of the Rings” universe was “Don Quixote” in fantasy form, and I loved every bit of it. Beyond the greater-good themes of honor and death, I was taken with the relationships between Frodo and Sam; Merry and Pippin; Legolas and Gimli; all of which testified that friendships can survive the trials of time, regardless of differences. That same night, I begged my father to go back to Walmart and buy the next two films in the series. I spent that week of my ten-year-old life glued to the TV screen, drinking in the tale of Frodo and Samwise as they save the world of Men. That’s when my long-standing love for Tolkien’s world of Middle-earth began. But as my understanding of the world and the human experience changed over the past decade, my evaluation of Western fantastical worlds has shifted accordingly. Specifically, I take issue with the racial dynamics implicitly perpetuated by filmic adaptations of Tolkien’s narrative. As a child, I could not identify these dynamics. I knew only that my thoughts would veer slightly toward stereotypical representations of Thailand when I saw the “bad guys” riding oliphaunts, the in-universe equivalent of elephants. 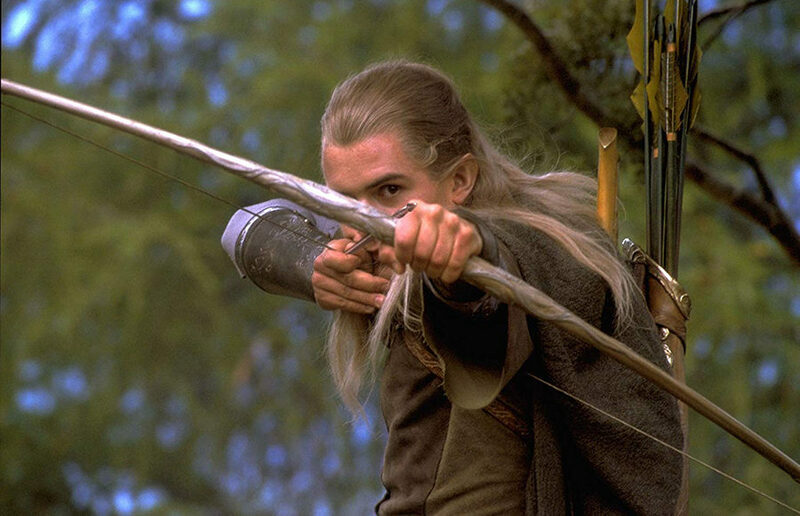 I had only a vague understanding that most of the protagonists, especially the elves considered the pinnacles of beauty in Tolkien lore, were all played by white actors. Later on, in young adulthood, I would realize that the contours of such thought inevitably affected how I interacted with this rich and highly visual world. In other words, unlike Tolkien’s written text, the films do not succeed in adequately humanizing the Easterlings and the Haradrim. In turn, they implicitly connect non-Western clothing traditions with pure evil. Of course, my ten-year-old self, who had no working understanding of nuance, mentally absorbed these associations and carried on in blissful ignorance. That ignorance would end when I read the books later on, feeling sympathy on many occasions for Haradrim and Easterling soldiers who had fallen in battle. Tolkien provided nuanced explanations of the Easterlings and Haradrim, offering much more context for their roles as plot antagonists in ways that made them as flesh-and-blood as our hobbit heroes. Eventually, I finished the books in time to realize the films illustrated only a small, often distorted aspect of Tolkien’s cultural representations. In turn, (the films) implicitly connect non-Western clothing traditions with pure evil. The Orcs and Uruks look like individuals from the Eastern parts of this world. Tolkien’s structuring of the book points to his fear of the rise of the Dragon from the East, a fear of the rise of powers in the East. The Western powers must cooperate to prevent the figurative rise of Mordor. My ten-year-old heart in my throat, I scrolled faster. And then I stopped. I felt immediate pain from the implications of these theories. The thought that characters, who most resembled representations of my culture (albeit twisted versions of them) were the worst villains in a world I loved deeply saddened and frightened me. Characters allegorizing people of color were the irredeemable bad guys. Characters of color were the monsters. When I saw that no other individuals on the populous forum had chosen to poke holes in an incredibly racist interpretation of Tolkien’s world, I gained a terrifying sense of isolation and distress. As I tried to rationalize my growing emotional response at this post, a tiny, little voice in the back of my mind possessed fears that this individual might have been right. Perhaps the purpose of the series was to be hateful against those like me, it whispered. All this is especially disheartening as, biographically, Tolkien is not a racist individual. In 1938, when a German publishing company requested proof of his Aryan descent as a precondition for releasing his books in Nazi Germany, Tolkien sent a blistering letter conveying his disapproval of the Nazis instead. And while his sensitivities to treatments of race aren’t up to modern standards — it would, I think, be unfair to judge him by modern metrics — he makes a point to humanize all characters. He makes individuals of the Easterlings and the Haradrim, something the movies and the forum interpretation above fail to achieve. I came to the realization that neither recast truly captures Tolkien’s vision. Thankfully, my ability to distinguish unconvincing analyses from quality fan content has improved. And while the films will hold a special place in my heart (because they introduced me to Tolkien), I can no longer revere the film series in the same manner I did as a child. I take issue not with the films’ failures to humanize the antagonists, but with the fact that their careless dehumanizations are based on racially-charged visual tropes. All this is especially disheartening as, biographically, Tolkien is not a racist individual. The mere existence of these failures validate people like the individual in the forum, and embolden them to voice ignorant interpretations of a narrative that promotes themes of honor and friendship. The remark of the undisputed commenter, that the mindlessly brutal antagonists were POC because they “look[ed]” like POC in the film, still casts a shadow over my rewatches. It pains me that Tolkien’s stories have been used as a tool to support worldviews that, even by the film’s first release, were outdated. Amid the cultural inconsideration made by filmmakers and the ramifications of such conduct, I cannot honestly distance myself from the films. As I rewatch them today, I still exuberantly cheer when Frodo successfully destroys the One Ring. I still sob like crazy when Frodo leaves for the Undying Lands, leaving his old and new friends behind. At ten, I had fallen in love with this wondrous and imaginative world brought to life on screen. At twenty-one, I will still feel some level of discomfort. Careless interpretations still inspire pain, regardless of how formative and magical they once had seemed.